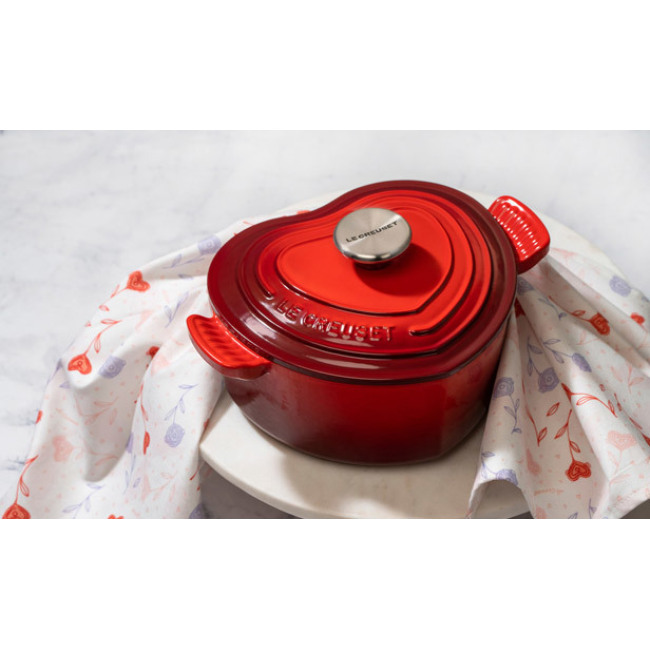 The Heart Cocotte combines the performance and durability of enameled cast iron with a festive shape perfect for Valentines Day. Scalloped handles recall early Le Creuset designs from the 1920s. Long recognized for its strength and durability, cast iron is the prime material for slow-cooking, braising and roasting, thanks to its ability to maintain even and consistent heat. 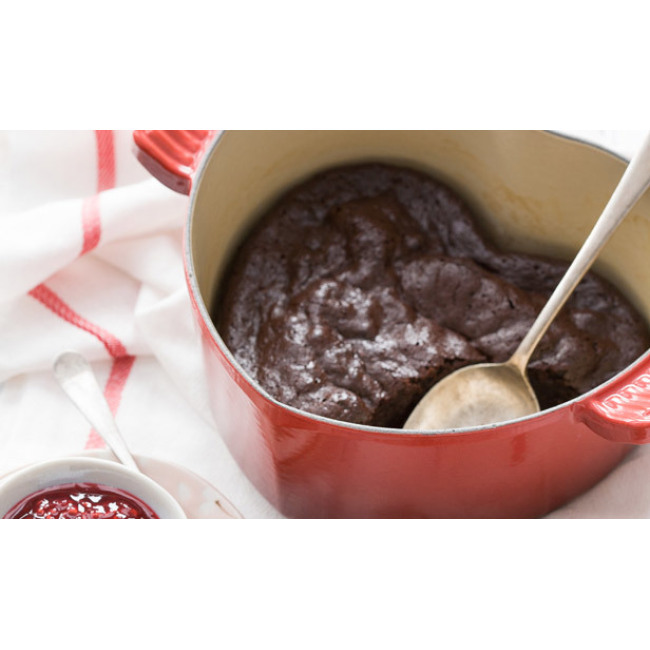 The enameled Dutch oven needs no seasoning, and it’s suitable for both stovetop and oven use. 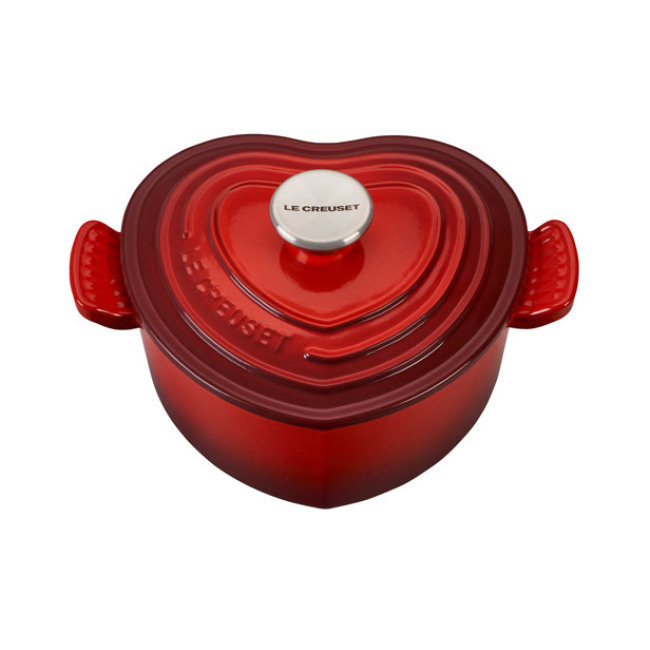 For years, Le Creuset has been known for its cast iron and has been treasured as superior cookware and family heirlooms. Each Cast Iron piece is made in France.